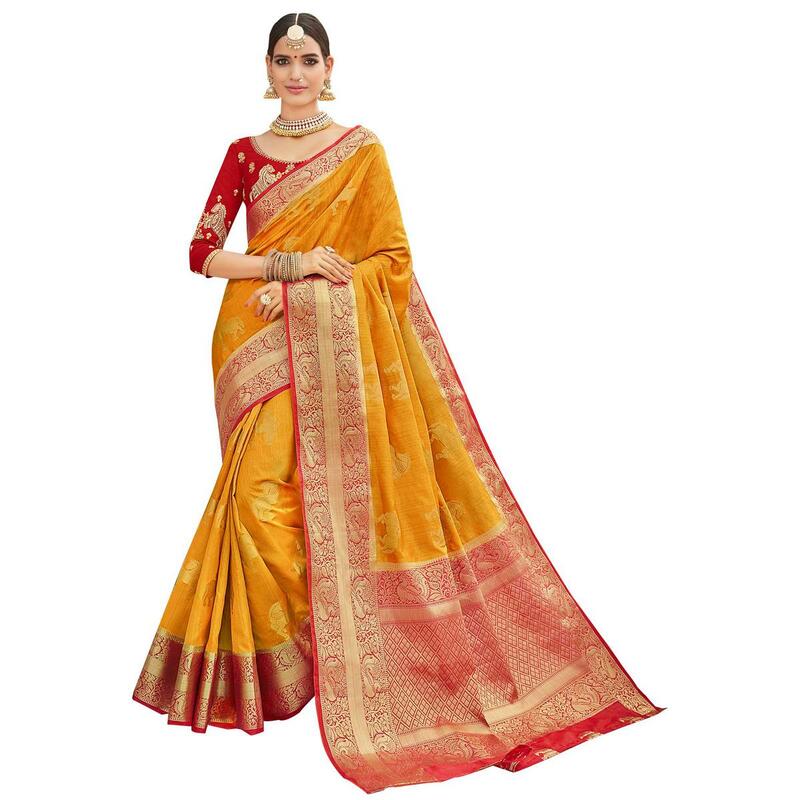 get your charming look in this yellow-red colored party wear designer embroidered banarasi silk saree. 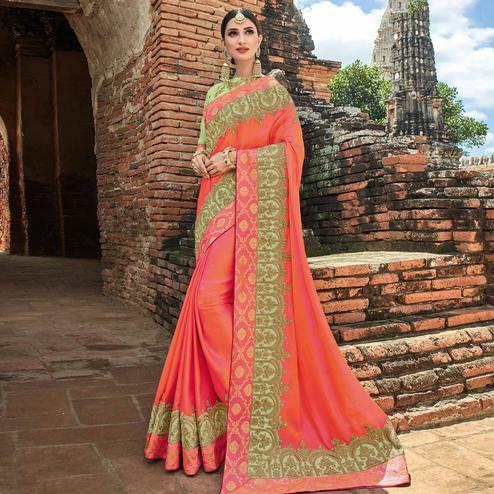 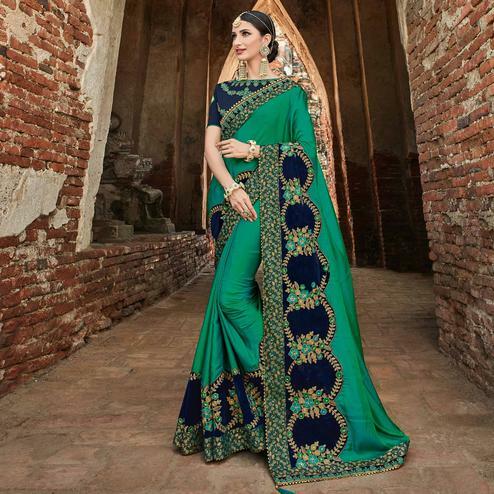 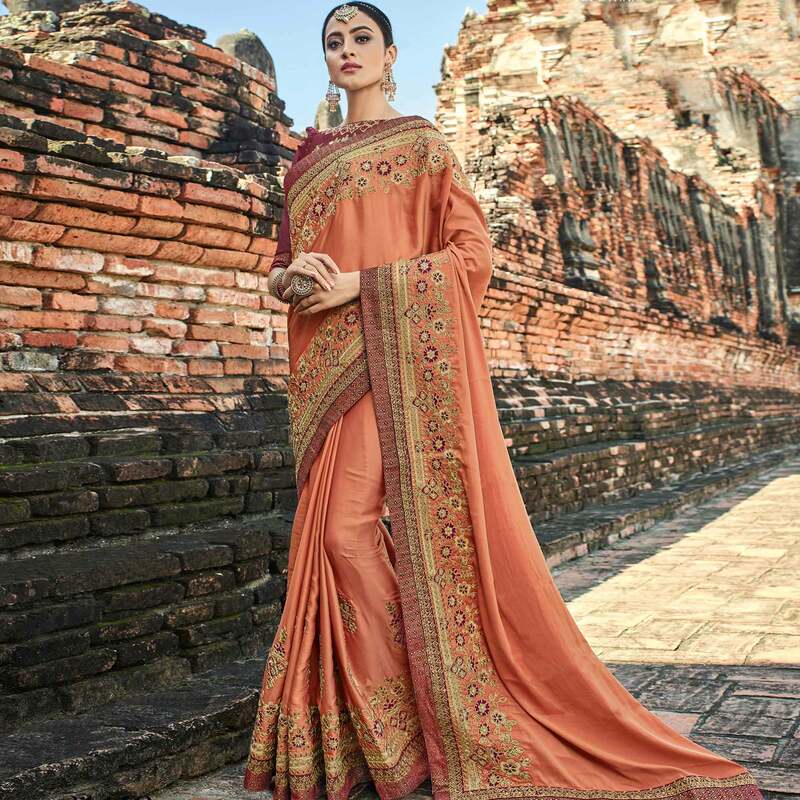 This saree is made of beautiful banarasi silk fabric and comes along with a contrasting heavy embroidered banarasi silk blouse. 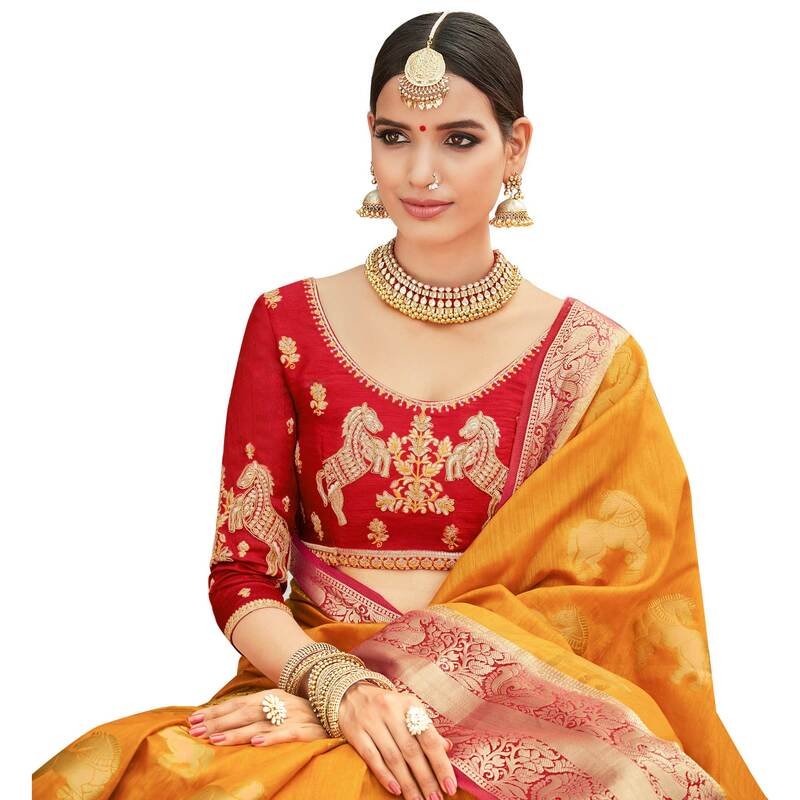 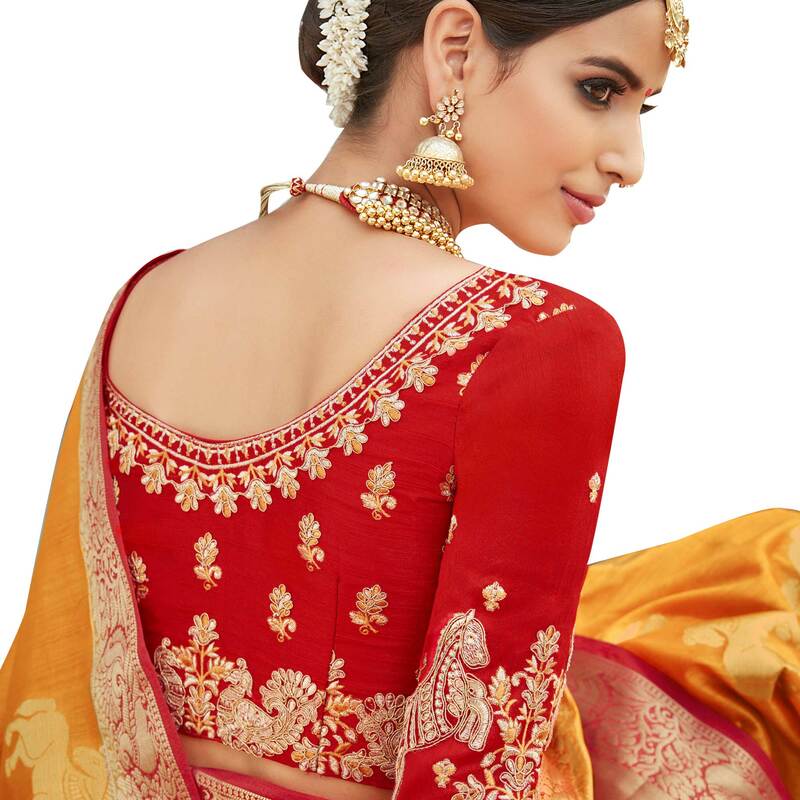 The saree has beautiful combination of red designer embroidered blouse with yellow base of banarasi silk which is so gorgeous for the indian ethnic look. 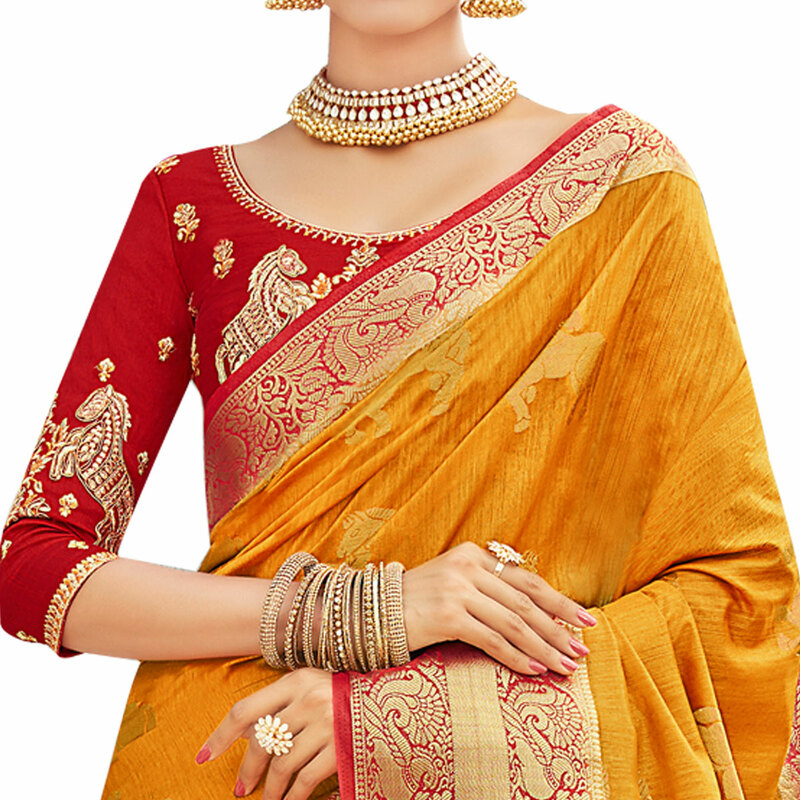 The blouse is a designer piece and looks classy in combination with heavy gold embroidery.This saree is perfect for ladies who are all about heavy indian wear outfits.You can wear this at weddings,festivities,engagement parties,family functions pair this with beautiful gold jewellery and heels and you will get your desired look.